Trade associations representing the U.S. healthcare sector in Capitol Hill were widely ranked as the most effective among policy leaders inside the Beltway, according to a research study by D.C.-based PR giant APCO Worldwide that measured advocacy associations in Washington by their perceived influence and efficacy in achieving their policy goals. The study, which surveyed executive branch officials, congressional staff and private sector executives and asked them to identify what associations they believe are the most effective in delivering policy results for their members, measured performance and perceived effectiveness across 15 separate advocacy characteristics. 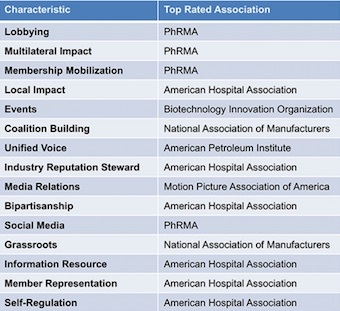 Overall, hospital and healthcare network organization the American Hospital Association was named the top-ranked association in the survey, cited as the best trade group in six categories: local impact, member representation, self-regulation and bipartisanship, as well as being an information resource and an industry reputation steward. Other associations representing the healthcare sector also took high marks. Drug company trade giant the Pharmaceutical Research and Manufacturers of America followed immediately behind AHA in the study; PhRMA was cited as a leader in four key areas: lobbying, social media, membership mobilization and multilateral impact. 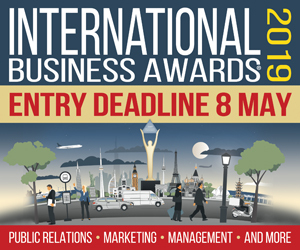 The Biotechnology Innovation Organization, the world’s largest trade organization representing the biotechnology industry, was recognized as the top lobbying group for events. It’s the third time in the last four similar studies conducted by APCO that lobbying groups representing the healthcare sector were seen as the top-performing organizations in the most categories. Following healthcare were trade associations representing financial services, retail and the technology industries. Other trade groups that ranked highly for their perceived effectiveness included the National Association of Manufacturers, which was ranked highest in two categories, grassroots capabilities and coalition building; the Motion Picture Association of America, which took the top slot for media relations; and the American Petroleum Association, which was recognized for having the most unified voice. APCO’s fourth annual TradeMarks Study surveyed more than 300 Washington policy leaders between May and July. Research was conducted by the independent communication agency’s in-house research team, APCO Insight.